We are a wholesale tire company located in Miami, Florida that specializes in used tires and always guarantees the lowest prices. We have over 30 years experience exporting new and used tires from Miami all over the world. Our unique location and short distance to the caribbean means we can easily export to Anguilla, Antigua-and-Barbuda, Aruba, Bahamas, Barbados, Belize, Cayman Islands, Dominican Republic, Grenada, Guadeloupe, Haiti, Honduras, Jamaica, Martinique, Montserrat, Netherlands Antilles, Puerto Rico, Saint Barthélemy, Saint Kitts and Nevis, Saint Lucia, Saint Martin, Saint Vincent, Trinidad and Tobago, Turks-and-Caicos Islands, and Virgin Islands. Since exporting used tires is our specialty, we can arrange for fast and convenient door to door or door to port shipping at a low cost to you. 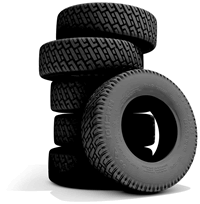 We specialize in used car/passenger tires, used truck tires, and new and used motorcycle tires. All of our tires are air tested, very clean and high-grade. Our 30,000 square foot warehouse carries a large inventory of all tyre sizes for passenger cars, light trucks and trucks. We also have low profile tires available in 15"16"17"18"19"20"21"22"23"24"25" and 26" sizes. Where can you export to? The unique location of our warehouse allows us to easily export to Anguilla, Antigua-and-Barbuda, Aruba, Bahamas, Barbados, Belize, Cayman Islands, Dominican Republic, Grenada, Guadeloupe, Haiti, Honduras, Jamaica, Martinique, Montserrat, Netherlands Antilles, Puerto Rico, Saint Barthélemy, Saint Kitts and Nevis, Saint Lucia, Saint Martin, Saint Vincent, Trinidad and Tobago, Turks-and-Caicos Islands, and Virgin Islands. These are just a few of the places we can export to. For more information, please contact us. Do you have all the popular sizes in stock? We have over 100,000 tires of all sizes in stock. Most of them are always in stock. In the chance that we don't have a particular size in stock, we will find it for you. What size passenger tires do you carry? Passenger tires come in almost every size, including10"12"13"14"15"16"17"18"19"20"21"22"23"24"26"
What size truck tires do you carry? Truck tires come in 17.5"19.5"22.5"24.5". How can I ensure my tires are of good quality? Each tire is pressure tested and inspected before being added to our inventory. The tires are stored in a climate-controlled warehouse which prevents damage from moisture and tempreture changes. Our preferred payment method is wire transfer or cash. Please contact us for other options. How long will it take to load my container? Our loading time is one business day after order availibility confirmation. What happens if I receive a tire or tires that is no good? We take 100% full responsibility for our tires. If there is any problem with any of the tires in your order, please let us know and we will take care of the problem. Of course! Just fill out our online form and we'll confirm availability and get back to you within one business day. What does the price of each tire include? The price includes the cost of the tire loaded into the container. My country has strict environmental policies regarding used tires. Will that be a problem? Not at all. 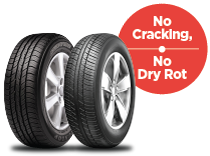 Our tires are very clean and we work to minimize tires with dry rot and cracking. Can I purchase a mixed load of tires? Certainly. We will load a container with whatever quantities of tires you order.